REAL CARS – REAL ROADS – REAL FAST!!! Competitors, Spectators and Volunteers, plan to be part of the 2018 Lincoln Electric Rally of the Tall Pines, Bancroft, The toughest one day rally in North America, so says David Higgins, 8 times Rally America Champion. The 49th running of the Rally of the Tall Pines will take to the demanding and exciting roads around the beautiful, friendly town of Bancroft, Ontario. Located just two and a half hours from Toronto and a similar distance from Ottawa, it is easily accessible to competitors from across Canada and the US. For Spectators, we have some of the best vantage points of any North American Rally. 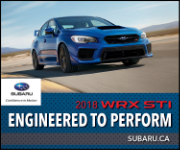 Check out the incredible skills of the top drivers, as they battle for the titles of Canadian National Rally Champion, North American Rally Champion, Ontario Regional Champion and Eastern Canada Series Champion. Special VIP spectator packages are available. Why not treat yourselves or your sponsors – check out our VIP Program for further details. Volunteers get to be part of the action, you get up close and personal with the teams, you learn the ins and outs of a rally, we help with training, accommodation and food. No previous experience necessary for many of the roles just contact us at Volunteer and we will be able to use your help. We look forward to seeing you in Bancroft, Ontario.